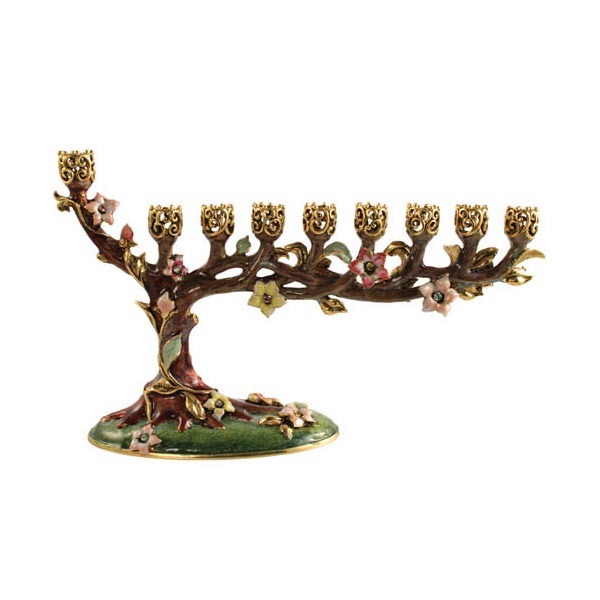 Quest Gifts Bonsai Tree Hanukkah Menorah Has Delightful Painted Enamel Flowers In Multi Colors That Are Set With Colorful Swarovski Crystals. The Tree Is Covered With A Deep Brown Enamel Color With Gold Accents. This Bonsai Tree Menorah Is Approximately 4 1/2" Tall X 7" Long.